Back to School Supply Drive: Hosted by Ivy Baptist Church, 50 Maple Ave., July 1-Aug. 17. Supplies will be given out at their annual Community Day Block Party, Saturday, Aug. 18, 11 a.m.-3 p.m. Call 757-244-8165 for more information. 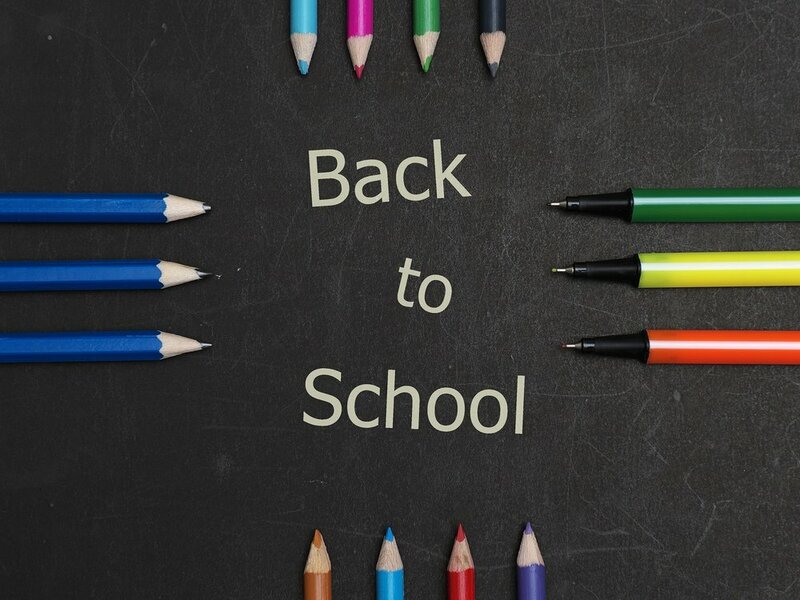 Good News and Back to School Community Outreach Event: Hosted by House of Refuge, Saturday, Aug. 18, begins at 10 a.m. with march from Anderson Park (16th St. and Oak Ave.) to King-Lincoln Park (600 Jefferson Ave.); event ends at 3 p.m. Call 757-827-5416 for more information. Back to School Drive: Hosted by Gamma Chapter of Alpha Gamma Xi Sorority, Inc. and Educate Inspire Transform, Sunday, Aug. 19, 1-4 p.m., 726 16th St.
NNRHA Back to School Gala 2018 (Ridley): Hosted by Newport News Housing & Redevelopment Authority at Ridley Recreation Center, 600 Jefferson Ave. Please know your account number to receive your book bag. Thursday, Aug. 23, 3:30-5 p.m. Items are for youth ages 5-10. Call 757-928-2620 for more information. NNRHA Back to School Gala 2018 (Lassiter): Hosted by Newport News Housing & Redevelopment Authority at the Boys & Girls Club located at Lassiter Court. Please know your account number to receive your book bag. Thursday, Aug. 23, 3:30-5 p.m. Items are for youth ages 5-10. Call 757-928-2620 for more information. NNRHA Back to School Gala 2018 (Marshall Courts & Orcutt Townhomes): Hosted by Newport News Housing & Redevelopment Authority at the Marshall Courts Recreation Center. Please know your account number to receive your book bag. Friday, Aug. 24, 3:30-5 p.m. Items are for youth ages 5-10. Call 757-928-2620 for more information. Back to School Bash: Hosted by Doris Miller Community Center, 2814 Wickham Ave., Saturday, Aug. 25, noon- 5 p .m. featuring music, entertainment, inflatables, and more. Registration is required for the 3-on-3 basketball tournament. Call 757-247-8603 for details. Stuff the Bus: Hosted by Piggly Wiggly, 3101 Jefferson Ave., Wednesday, Aug. 29, 8 a.m.-5 p.m. Help our students kick off the school year in the “write” direction! Show your support by helping Piggly Wiggly fill a bus with school supplies! Donations will benefit Newport News Public Schools. Children from Eagles Nest Learning Center will be on-hand around 11 a.m. to help stuff the bus! Did we leave something off the list? Email the details to newportnewschoice@nnva.gov.